A few weeks before he was elected Pope in 1978, Cardinal Albino Luciani gave an interview on the recent birth of Louise Brown, the world’s first test tube baby. Many on the left have long held that this revealed the mind of a Pope on the matter, and that had he lived, he would have taught very differently than did his successor, Pope John Paul II. It’s a desperate argument. It is clear in the argument that Cardinal Luciani goes out of his way to speak as a journalist and not a Cardinal (let alone, future Pope). He is clearly uncomfortable with the question being asked of him while he was hospitalized and away from his books. Why his pontificate lasted only 33 days is a mystery. He gave us his refreshing smile in very turbulent times, and made way for the towering giant that was his successor, Pope John Paul II. Medieval historian, Dr. Lori Pieper recently posted the interview on her blog, On Pilgrimage,I have long-sought this very controversial interview, and am deeply grateful to Dr. Pieper for having brought it to light. I present the article here, along with Dr. Pieper’s end notes. Q. What is your opinion on the English baby girl conceived in a laboratory? A. It is not easy for me to answer your question like this, on the spur of the moment, from the telephone in my hospital room, where I am now, without books that I can consult. And that is not the only difficulty. I have, in fact, read up to now only a few newspaper accounts about the “English test tube baby”; in order to make a judgment, in addition to what is in the newspapers, I would have to be acquainted with the scientific data drawn up by the two doctors who are the leading actors. (1) That is not all: at this moment, I am not speaking as a bishop, but as a journalist consulted by a colleague; in such a very delicate and almost new matter, I am also waiting for what the authentic magisterium of the Church will decide to say, after the experts have been heard. My answer to your question is therefore personal, at my own risk, and, I might say, in the form of a conversation. 1. I share only in part the enthusiasm of those who are applauding the progress of science and technology after the birth of the English baby girl. Progress is a very fine thing, but not every kind of progress is helpful to mankind. The ABC weapons (atomic, bacteriological, and chemical) have been a kind of progress, but at the same time, a disaster for mankind. Even if the possibility of having children in vitro does not bring about disaster, it at least poses some enormous risks. For example: the natural ability to conceive sometimes produces, as a result, malformed children; won’t the ability to conceive artificially produce more? If so, won’t the scientist faced with new problems be acting like the “sorcerer’s apprentice,” who unleashes powerful forces without being able to contain and dominate them? Another example: given the hunger for money and the lack of moral scruples today, won’t there be the danger that a new industry will arise, that of “baby manufacturing,” perhaps for those who cannot or will not contract a valid marriage? If this were to happen, wouldn’t it be a great setback instead of progress for the family and for society? 2. From every side the press is sending its congratulations to the English couple and best wishes to their baby girl. In imitation of God, who desires and loves human life, I too offer my best wishes to the baby girl. As for her parents, I do not have any right to condemn them; subjectively, if they have acted with the right intention and in good faith, they may even have great merit before God for what they have decided on and asked the doctors to carry out. 3. Getting down, however, to the act in itself, and good faith aside, the moral problem which is posed is: is extrauterine fertilization in vitro or in a test tube, licit? Pius XII, in speaking of artificial fertilization in marriage, made, if I remember right, the following distinction: Does the intervention of the technician or doctor serve only to facilitate the marriage act? Or does it help to obtain the child by continuing, in some way, an already completed marriage act? No moral difficulty; the intervention can take place. Does the device, on the other hand, not help or prolong the marriage act, but actually exclude it or substitute for it? It is not licit to use the device, because God has bound the transmission of life to marital sexuality. So said Pius XII, more or less; I do not find any valid reasons to deviate from this norm, declaring licit the separation of the transmission of life from the marriage act. 4. “But,” I have read in some newspapers, “it is ridiculous to pose moral problems to those who are availing themselves of the magnificent conquests of science. And then there are the rights of the free individual conscience.” Fine, but morality is not concerned with the conquests of science: it is concerned with moral actions, through which people can make use of scientific conquests for both good and evil. As for the individual conscience, we are in agreement: it should always be followed: both when it commands and when it prohibits; the individual must, however, strive to have a properly formed conscience. Conscience, in fact, does not have the task of creating the law. It has two other tasks: that of informing itself first of what the law of God says: then of judging whether there is harmony between this law and a specific action of ours. In other words, conscience must command man, not obey man. (1) In fact, at the time of Louise’s birth, Steptoe and Edwards had not yet published an description of their procedures in a medical journal, which made many members of the medical community decide to suspend judgment on it. 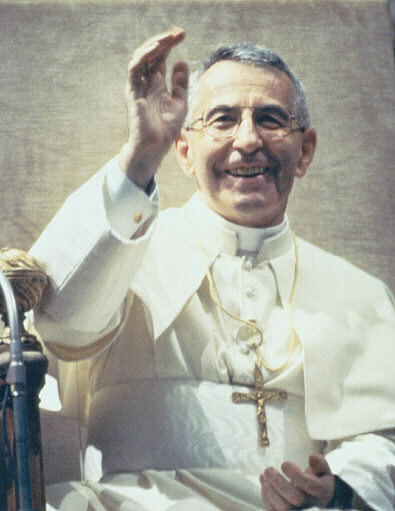 This was also why Luciani could not comment more precisely on the morality of the actual procedure used; this means also that he wouldn’t have known about the fact that more than one embryo is produced in the procedure, and the unused ones destroyed; which is in the eyes of the Catholic Church the taking of human life. even back then, Luciani could foresee many of the problems that might be and that have definitely come to pass. It’s the Garden of Eden all over again….. In light of the full response, I would say it’s charitable to call the argument desperate. It is without merit entirely. He raises concerns about all the issues that make IVF illicit. 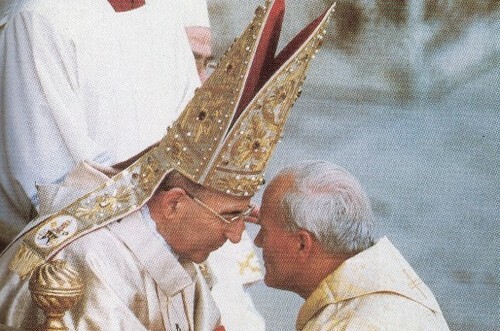 There is no doubt his teachings as pope would have unfolded just as they did under his successor. Thanks, Gerard! I was delighted by your comments about this over at Jill Stanek’s site, but had no idea you’d actually re-posted the whole of the interview here. It’s so important to correct the rampant mistaken impressions about this Pope. I’ve become a recent reader of your blog, ad an overnight fan. I link to you on my blogroll. I’ll be in touch about a few things vis email. I too enjoy Lori’s blog. There are so many wonderful Catholic blogs out there and so little time to read them all!